Numerous studies show that in North America, the workplace has become a major source of stress for employees and this stress has escalated progressively over the past decades. The resulting yearly cost of absenteeism alone for organizations is calculated at around $1,400 per employee, not to mention the loss in productivity. Richard Louv, an Audubon medalist and author of 9 books, including “Nature-deficit disorder” regrets that people are spending less time outdoors and less time immersed in nature than before. It is also clear that, in the past 30 years, people’s levels of stress and sense of “busyness” have risen dramatically. These converging forces have led environmental writer Louv to coin the term “nature-deficit disorder”—a form of suffering that comes from a sense of disconnection from nature and its powers. In a scientific article published in March, 2017, Kristophe Green and Dacher Keltner refer to a large body of research documenting the positive impacts of nature on human flourishing—our social, psychological, and emotional life. Over 100 studies have shown that being in nature can have positive impacts on our brains, bodies, feelings, thought processes, and social interactions. In particular, viewing nature seems to be inherently rewarding, producing a cascade of positive emotions and calming our nervous systems. These in turn help us to cultivate greater openness, creativity, connection, generosity, and resilience. Research by Psychology professor Barbara Fredrickson, PhD, at the University of North Carolina, Chapel Hill, has discovered that nature experiences lead to reduced stress, easier recovery from illness, better physical well-being in elderly people, and behavioural changes that improve mood and general well-being. By increasing positive emotions, experiencing nature, even in brief doses, leads to more kind and altruistic behaviour. Moreover, exposure to nature may also improve happiness and have physical and mental health benefits. Positive emotions have beneficial effects upon social processes like increasing trust, co-operation, and closeness with others. In another scientific study, published in Science Direct, M.D. Velarde, G. Fry, and M. Tveit, have identified three main kinds of health effects linked to exposure to nature: short-term recovery from stress or mental fatigue, faster physical recovery from illness and long-term overall improvement on people’s health and well-being. They conclude that we are less likely to be anxious and fearful in nature, and thereby we can be more open to other people and to creative patterns of thought. Nature often induces awe, wonder, and reverence, all emotions known to have a variety of benefits, promoting everything from well-being and altruism to humility to health. 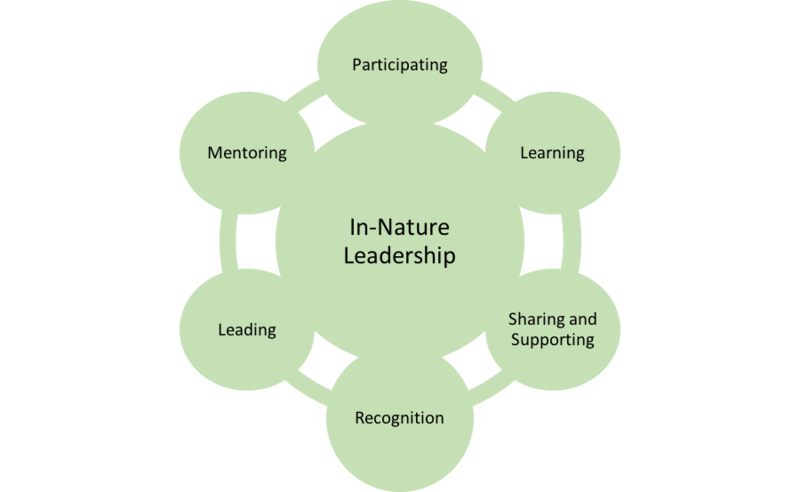 Ecoleo Consultants provide in-nature leadership development adventures for individual leaders, or your entire team. You will experience individual and group challenges to build confidence, a renewed spirit of teamwork, and co-operation. 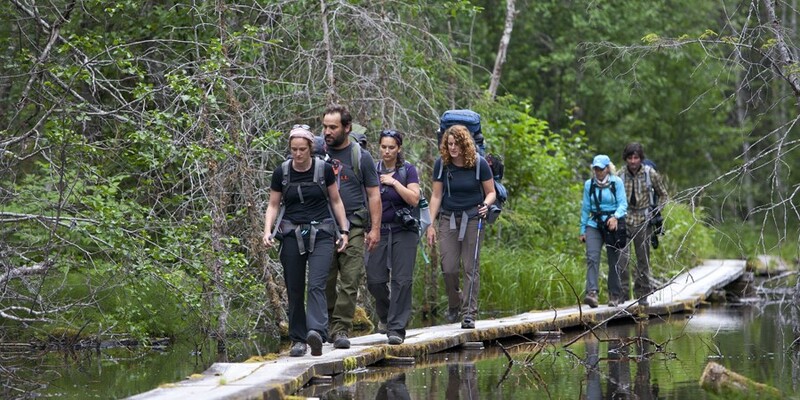 We provide natural settings to relax your body and mind, and reconnect with nature, while developing interpersonal leadership skills. Through first-hand, off-site natural environment experiences, Ecoleo consultants will foster new wellness skills among your leaders so they become more resilient, more appreciative of the importance of keeping fit and grounded in life. They will then become less prone to stress, gain better self-control, and improve their energy levels. Once they understand the benefits of this approach, they will become advocates for personal wellness practices. These experiences promote teamwork, support for and commitment to colleagues. Our activities build an atmosphere of trust and confidence in one another. By disconnecting from technological distractions, busy routines and schedules, we rediscover the beauty and vastness of nature and find our inner strengths. For these wilderness adventures, we build a program for your people designed to help them overcome challenges at their level by working together collaboratively. You can tailor the program based on your people’s interests and capabilities.